Jade was thought to preserve the body after death and can be found in emperors' tombs from thousands of years ago. One tomb contained an entire suit made out of jade, to assure the physical immortality of its owner. 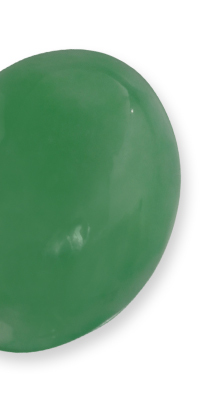 Jadeite dealers are some of the world's biggest gamblers: Boulders are sold intact, with only a tiny window cut in the side to expose a small section of the interior. The buyer has no idea what lies inside: valuable green jadeite or perhaps only white inexpensive white or brown jade. And boulders sell for hundreds of thousands of dollars.